Ben-Gurion University (bgu.ac.il) was created in 1969 to transform the Negev. Through creative thinking and a commitment to excellence, BGU has pursued its unique mission with intelligence and passion. David Ben-Gurion believed that individual initiative and original ideas could make the desert bloom. The University that perpetuates his name has gone even further, breaking down traditional barriers to create a dynamic learning environment and build a more equitable society. Since 1969, our programs have evolved, our student body has grown, and our faculty has expanded. Our goals, however, remain the same: Innovate, Create, Transform.Today, BGU is the number one choice of Israeli undergraduate students — voted Best Place to Study for a few years in a row according to a recent survey commissioned by the National Union of Israeli Students Research Department. In addition, over one-third of BGU students are pursuing advanced degrees at the Kreitman School for Advanced Graduate Studies, affirming BGU’s position as a world-class center of research. As Israel’s fastest growing university with almost 21,000 students in campuses in Beer-Sheva, Sde Boqer and Eilat, Ben-Gurion offers scores of courses in diverse disciplines — from Engineering Sciences to Business Management to Social Studies to Jewish Literature and Culture. BGU serves as a bridge between academia and industry, between Israel and the developing world. Unique worldwide, the Medical School for International Health – in collaboration with Columbia University Medical Center – is training physicians in cross-cultural, community, and preventive medicine. Approximately 400 Bedouin students now attend BGU, thanks to outreach and retention programs spearheaded by the Center for Bedouin Studies and Development. BGU researchers are working throughout the Middle East to improve healthcare, education, and economic conditions – for all the residents of the region. Desertification researchers at the renowned Jacob Blaustein Institute for Desert Research have at their fingertips priceless data on the ecology of arid lands. This center is world recognized as the leader in the fight against desertification (the degradation of land in drylands). Through advances researched and developed at this institute, Ben-Gurion University has helped transform the arid zones of Israel and by so doing has been significant in helping other nations of the world feed their populations. Ben-Gurion University of the Negev ranked 46th on GreenMetric’s list of worldwide green campuses. It is the only Israeli university on the list. The GreenMetric Ranking of World Universities was established last year to provide a benchmark for universities to achieve an environmentally friendly and sustainable operation. It compares universities on their degree of commitment to environmental education and implementation of sustainable policies. In 1976, Ben-Gurion University created the Community Action Unit, a pioneering venture in community outreach that initiates and runs social and educational programs for motivated children and adults who have been held back by economic circumstances. Often described as “a university with a conscience,” BGU offers the Open Apartments Program; the Leadership Training Program for students; the Newstart Program, through which adults can complete their formal education; the Reaching Out Program for new immigrants; and much more. Ben-Gurion University of the Negev is ideally situated in Beer Sheva, a rapidly growing city with a population of about 200,000 that is considered the capital of Israel’s Negev, the southern region of Israel. The climate is semi-arid desert, with relatively low humidity and rainfall. Student enrollment has increased from some 500 in 1969 to over 20,000 in 2011. The student body, reflecting the unique mixture of ethnic backgrounds which typifies the Negev region population, is further diversified by the enrollment of students from all other parts of the country, including new immigrants to Israel from all over the world. Most Israeli students begin their undergraduate studies after service in the Israel Defense Forces, which creates a more mature, serious-minded student body than one would normally find in universities in other countries. A diverse group of scholars and scientists, many of them prominent in their fields, constitutes the staff of the University. New immigrants, many from the former Soviet Union and from North America, fill academic posts, and, together with renowned visiting lecturers from abroad, contribute a continuous input of fresh ideas and the latest state-of-the-art research in their respective fields of expertise. The relatively low student-to-faculty ratio allows for a personal rather than an institutionalized approach to learning. Professors whose extracurricular activities may include service as editors of professional journals, consultants to industry, or advisors to government, banks, the school system or social agencies, bring added experience and professional sophistication to this instruction. Since its inception, one of the University’s primary goals has been the intimate involvement with neighbouring communities, to provide practical assistance to the development of the Negev region, its industries, towns, and social infrastructure. 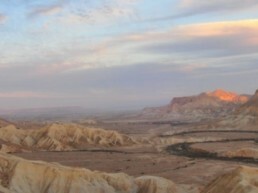 In practical terms, this means that beyond fulfilling the traditional objectives of an educational institution for higher learning, university faculties, research facilities and students are committed to services which are clearly relevant to social needs, improvement and change – particularly those committed to developing the Negev desert region. Both faculty and students can be found outside the micro-environment of classrooms and research laboratories, teaching, learning real-world systems, and, in general, contributing to the betterment of their macro-environment. With its orientation toward campus-community interaction, students as well as faculty are involved in activities that will benefit the Negev region in particular, and the country and world in general. Research or coursework in the humanities and social sciences may take students to such diverse places as kibbutzim, immigrant absorption centers, or urban renewal projects. Students in the natural and desert sciences work on problems of immediate importance to society that include environmental problems, strategies for plant, animal and human adaptation to arid zones, genetic engineering, and applications of biotechnology to industry. Engineering majors may focus their studies on optimization of chemical processes, control and simulation of flight, or nuclear reactors and solar energy plants and their utilization in industry and agriculture. Students in the health professions make an impact in several fields from their first year of studies, including laboratory research in basic science fields such as cancer diagnostics, nutrition, and medical microbiology, by helping to change methods of health care delivery in the area, and by community action projects such as lecturing on health topics in high schools. The normal track – Academic degree programs are pursued in a step-by- step order: Bachelor degree, Master’s degree, PhD degree. The combined track – Students who have demonstrated superior ability in their undergraduate studies may be permitted to combine their Master’s degree research and their PhD thesis. They must, however, fulfill all degree credits for the Master’s degree program. The direct track – This track bypasses the Master’s program altogether, proceeding straight from Bachelor’s degree to PhD program. Applicants for this track must have demonstrated especially superior capabilities in their undergraduate studies. Israel’s greatest natural resource is its brainpower. BGU is home to many of Israel’s best and brightest scholars and researchers including poets, pundits, economists, environmentalists, anthropologists, and archaeologists, as well as physicists, virologists, engineers, chemists, and mathematicians. The University’s success in attracting top men and women in their fields — new immigrants, as well as Israelis returning from their post-doctorate studies abroad or from other Israeli universities —is a testament to its growing worldwide reputation and its commitment to academic excellence. BGU’s outstanding and diverse faculty members and researchers are internationally recognized for their work in cutting-edge fields, including solar energy, nanotechnology, neuro-degenerative diseases, robotics, biotechnology, water management, desertification, and information technologies to name some of them. Several BGU curricula and interdisciplinary programs have been emulated around the world and BGU and its faculty have received numerous prizes and accolades as well as prestigious, competitive educational and research grants. BGU’s students are known for their activities in and support of the local community, and thousands of them take part in special outreach projects. Ben-Gurion University is the most popular university among Israeli undergraduates and is Israel’s fastest growing institution of higher learning. Over 20,000 students from Israel, the Negev region and around the world are drawn to BGU, where the pioneering spirit flourishes. Here, students get the best of both worlds: a dynamic and highly expert faculty who are leading departments that can compete with any other in Israel as well as a vibrant community and student life. The relatively low student to faculty ratio allows for a personal rather than an institutionalized approach to learning. Students and faculty work closely together on inspiring and cutting-edge research projects and engage in community outreach programs. A unique campus environment unlike any other in Israel, BGU is home to an active Student Association. More than 30 extracurricular clubs and numerous cultural events, holiday parties and lecture series enhance student life. In addition to modern, comfortable dorms, students on the multicultural, international, and high-energy Marcus Family Campus enjoy a movie theater, well-equipped sports center, pubs, restaurants, bookstores, and state-of-the-art computer libraries and laboratories. Thousands of the University’s alumni play significant roles in almost every sphere of life in Israel and elsewhere in the world. Graduates of BGU’s Medical School for International Health, a program in collaboration with Columbia University Medical Center, are heading emergency rooms in the U.S. or managing public health crises in Africa. BGU’s alumni are leading major high-technology companies, founding non-profit organizations, publishing works of literature, spearheading Israel’s environmental movement…changing the world. The University’s Alumni Association provides remarkable services for alumni, with a special emphasis on strengthening support services for graduates who remain in the Negev region. It works for social justice and engages alumni in campus and local Negev community activities. The Alumni Association fosters networking through class reunions, social and cultural events, special print and online publications, and the highly successful BGU professor lecture series. In collaboration with the University’s newly created Career Counseling Office, the Association offers an online job board, continuing education classes, executive training programs, and personal enrichment workshops. The Career Office helps students and alumni integrate into the Israeli work force by identifying employment opportunities in the south and in BGU’s Industrial Affiliates Program to increase academic-industrial relations. Through the University’s Alumni Fund, BGU graduates are helping provide scholarships for students in need. Ben-Gurion University of the Negev has taken on itself the responsibility to care for a cleaner and better quality environment as part of the project “Green Campus”. “Green Campus” is an initiative of the Ministry of Environmental Protection whose aim is to implement the subject of environmental quality in higher education institutions. The steering committee composed of representatives from the Ministry of Environmental Protection, from academic institutions, and from the Council for Higher Education, has drawn up criteria and guidelines in order to receive formal accreditation as a “Green Campus”. Ben-Gurion University of the Negev is pleased to join this initiative and sees the subject of environmental quality as an educational objective and also as a means through education of giving respect to one’s fellow man and nature. The University believes that each body should be self-responsible and should diminish its negative impact on its surroundings to a minimum. David Ben-Gurion, the country’s architect and first Prime Minister, was prophetic when he said: “The future of Israel lies in the Negev.” Indeed, the new Advanced Technologies Park at Ben-Gurion University will be proof of Israel’s stunning success at becoming one of the world’s high-tech capitals. Prime Minister Ehud Olmert has called the Advanced Technologies Park a “cornerstone” of the Negev. “What we are doing here,” the Prime Minister said at the groundbreaking for the park, “has the dimension of a one of a kind achievement.” With a planned hotel and conference center, the Advanced Technologies Park is located directly adjacent to Israel Railways intercity rail station and the Ben-Gurion University’s main Marcus Family Campus, enabling its tenants to develop strong R&D relationships with the university’s research centers and a statewide employee base. The Advanced Technologies Park is a unique public-private partnership blending the outstanding achievements of Ben-Gurion University and the City of Be’er-Sheva with high-tech companies seeking to develop innovative commercial applications for the world. KUD International LLC is the master developer. The BGU Centers of Excellence will play a vital collaborative role in the research and development conducted by the companies located in the Advanced Technologies Park, forming partnerships that will produce groundbreaking innovation and forging world wide entrepreneurial success. Israel is a democratic nation-state and its society is characterized by a wide range of cultures. Ben-Gurion University of the Negev (BGU) represents and expresses this variety, which combines the history, culture, and traditions of different groups in Israeli society. The location of BGU in the Negev region, which is home to many different ethnic groups, makes it a perfect representative of Israeli pluralism and the ideal institution to establish and lead the first Israel Studies program of its kind in Israel for international students. 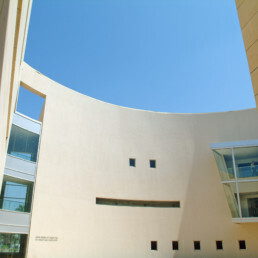 The Ben-Gurion Research Institute for the Study of Israel was established in 1976 by the Knesset Law perpetuating David Ben-Gurion’s memory, and by an agreement between the Ben-Gurion Foundation and Ben-Gurion University of the Negev. The institute’s raison d’être is to examine the Jewish People’s renewal in its homeland. The institute’s faculty includes scholars from various fields of the humanities and social sciences: history, political science, sociology, anthropology, geography, Middle East studies, literature and philosophy. Many of the scholars engage in inter-disciplinary work. The Israel Studies International Program (ISIP) provides students with a comprehensive state-of-the-art background in key subjects and research methods in Israel Studies. The knowledge and skills that students acquire, accompanied by an academic diploma recognized by academic institutions worldwide, provides a solid foundation for those intending to pursue doctoral degrees in related fields. A degree in Israel Studies is of value for candidates seeking to enter administrative, diplomatic, civil, or teaching positions related to Israel, the Middle East and the Jewish world. BGU offers various options for international students. First and foremost, the Overseas Student Program is responsible for applications and registration for most international programs (www.bgustudyabroad.org). Scholarship funding for all programs is available to Canadian students through the Fine Family Scholarship. Click here to download the scholarship application form. As an international student at BGU, you will study the Hebrew language, in addition to choosing from a variety of courses taught in English that are designed to enhance and connect with your experience in Israel. To complement your academic studies, you will be encouraged to participate in volunteer service, which will deepen your knowledge and exposure to Israel and its people. You will live in dormitory apartments with Israeli students, providing you with the opportunity to practice your Hebrew and forge a genuine connection with Israelis. You will also explore Israel on trips organized by OSP, where you will learn about the country’s history, landscape and diverse traditions. Finally, as a student at BGU, you will become a part of the University’s vibrant student body and gain a deep understanding of Israeli life from the “inside”. For more information visit www.bgustudyabroad.org.